So how much eggnog did you have this week? Be honest. Well, I totally indulged and really enjoyed hanging out with family. I love the slower pace that follows Christmas. The kids are home from school and I don’t take them to any after school activities this week. It’s a week off from alarm clocks and schedules and we love it. The year is quickly coming to a close and I wanted to reflect on some of the projects that have either been my favorites or the ones that you have liked most! 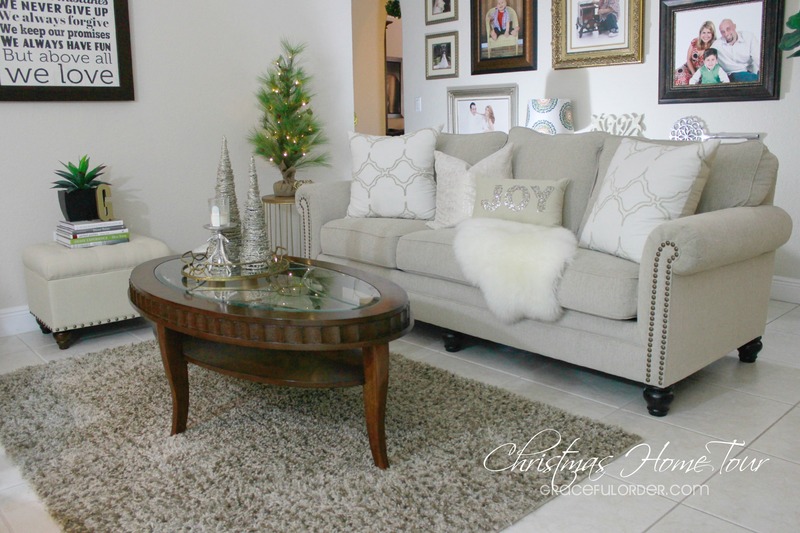 Our Christmas Home Tour was definitely top of the list! I am thinking of doing a full home tour next year. What do you think? If you missed it, here is PART 1, PART 2 and PART 3. 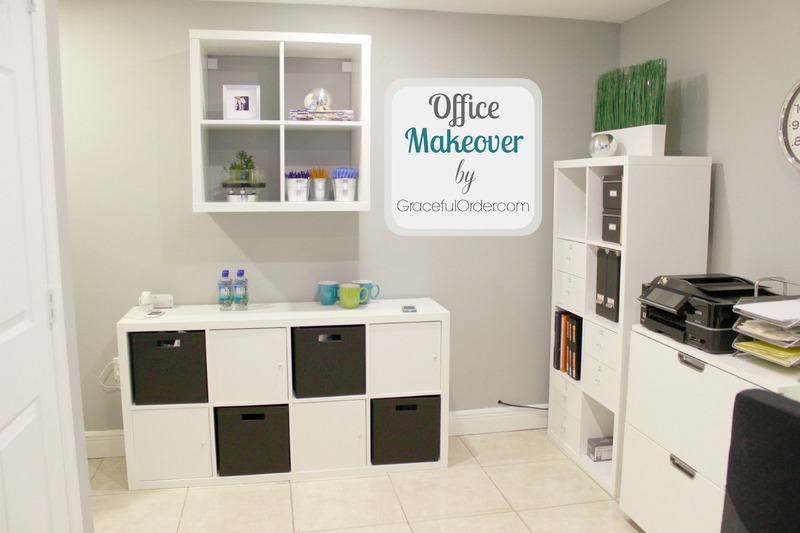 One of my most popular posts and probably one of my favorites, is my “Transform your Closet” post. 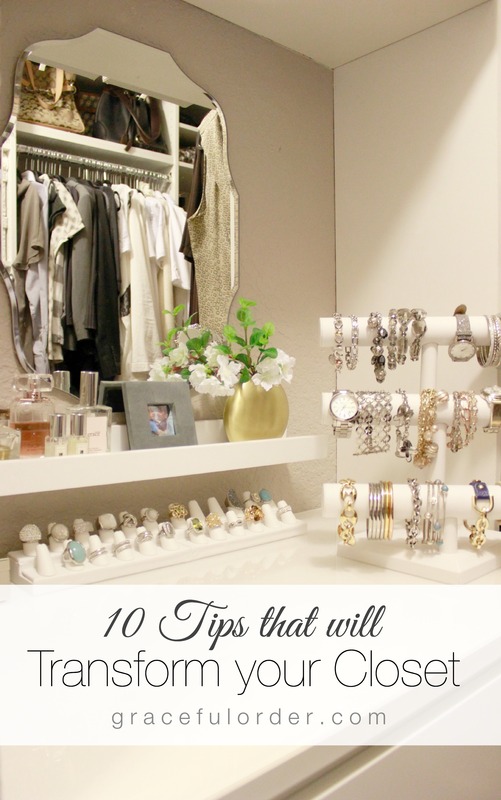 This is where I share all of my favorite tips for organizing the master closet. 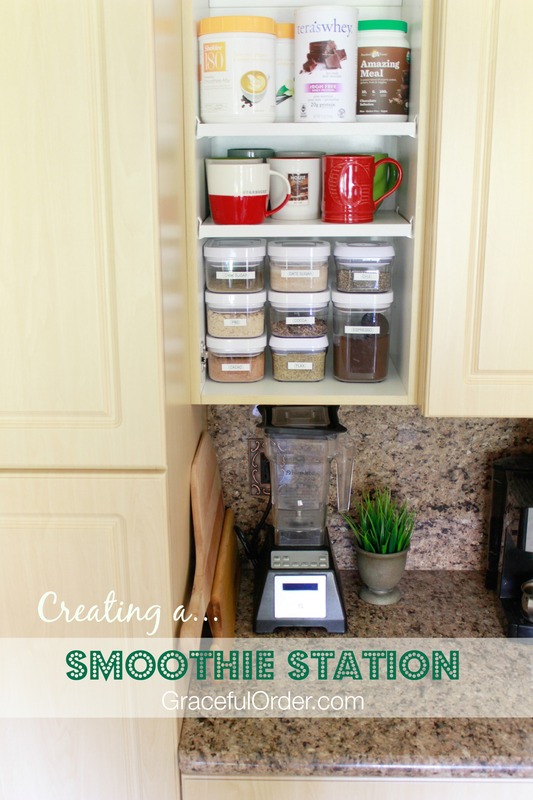 Another favorite organizational project of mine is how to “Create a Smoothie Station”. This saves me so much time and I make smoothies more often if I can find my supplies. 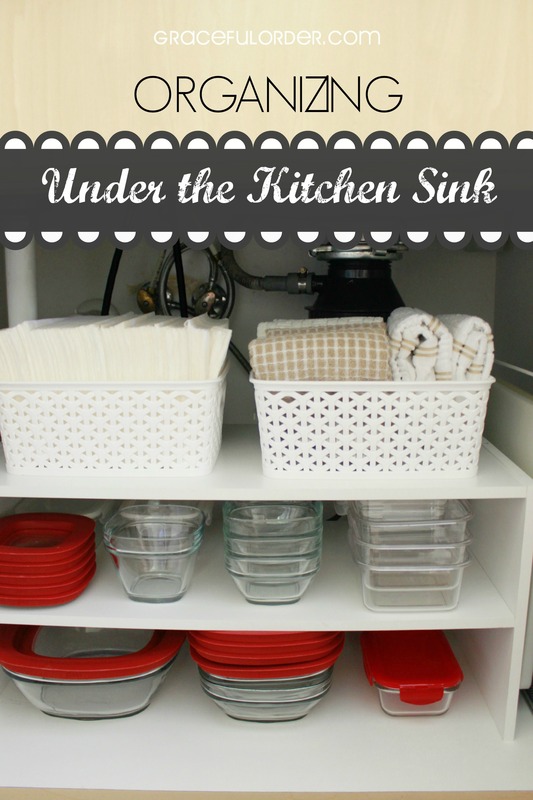 And since we are already in the kitchen, I also shared how I “Organize Under the Kitchen Sink”. 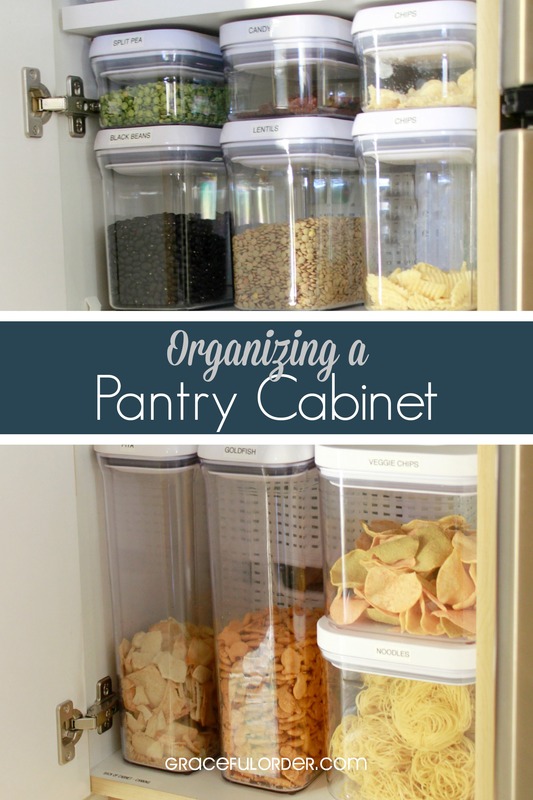 And tips on how to “Organize a Deep Cabinet Pantry”. We also did a little (a lot) of natural cleaning in 2014. 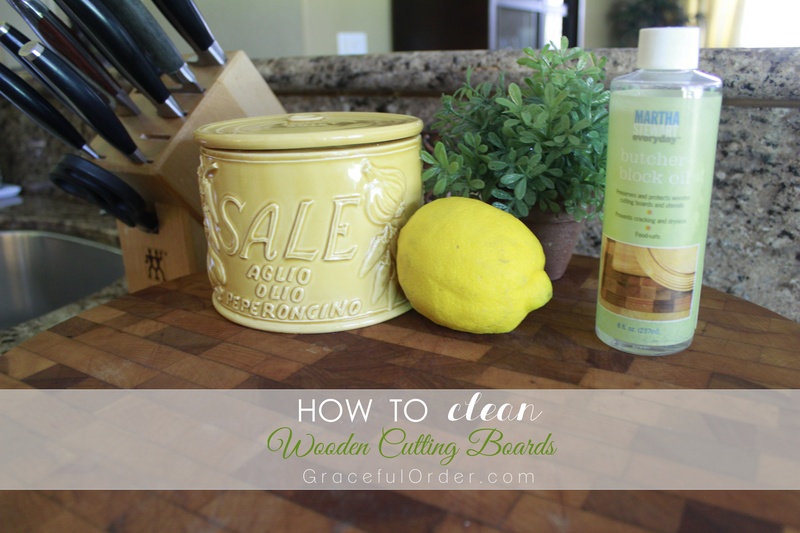 The most popular cleaning post was “How to Clean Wooden Cutting Boards”. Before and after the holidays is a good time to clean the oven, stove and microwave. 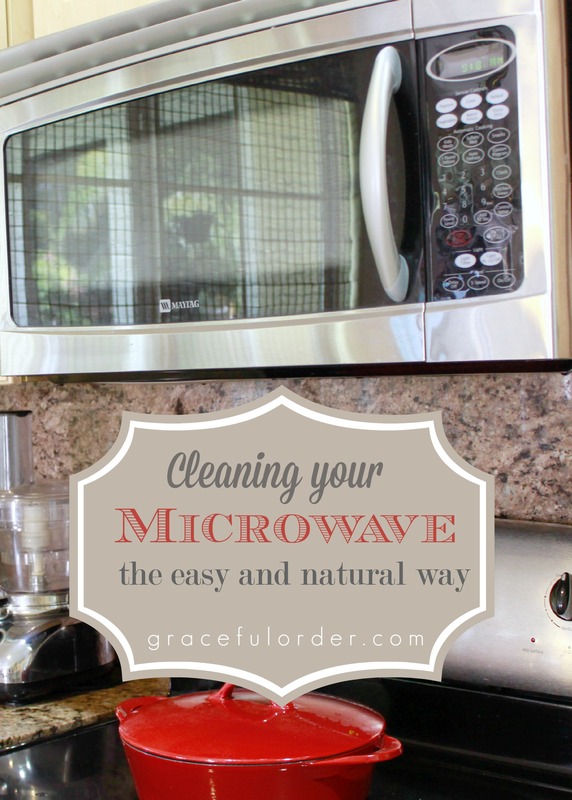 Here I share “How to Clean a Microwave the Natural Way”. 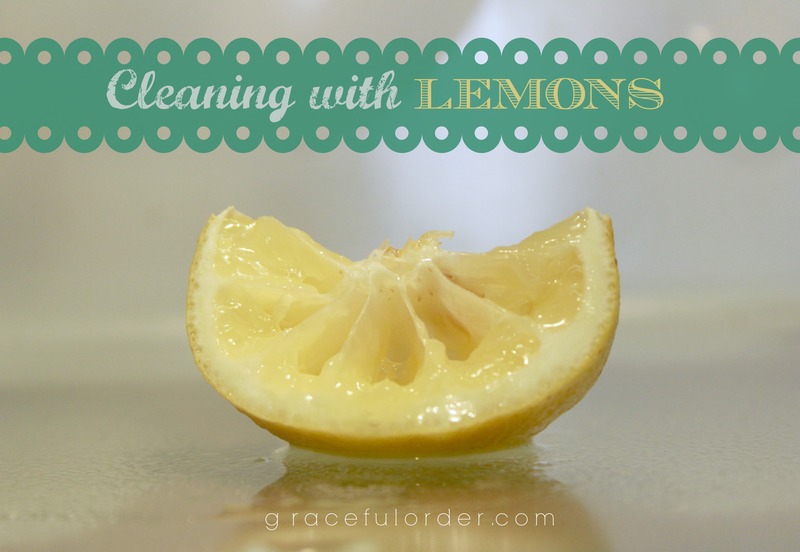 I love to clean with lemons, and here I show you different ways that I “Clean using Lemons”. 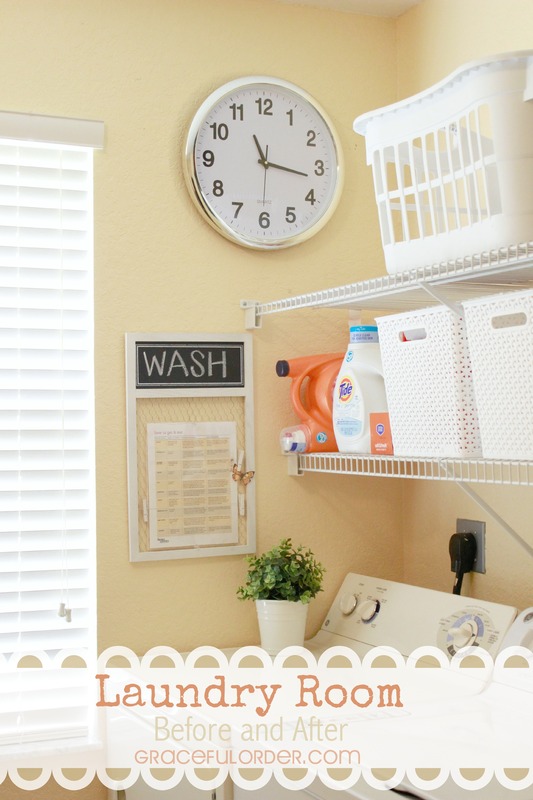 and a “Laundry Room Makeover”. 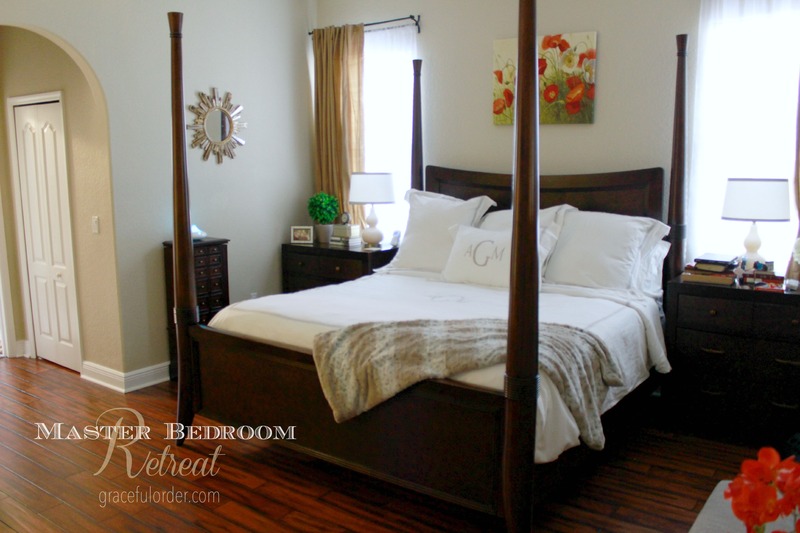 I shared tips on “Creating a Master Bedroom Retreat”. I since added a large rug under the bed and I can’t wait to share those pictures with you! Not surprisingly, since most of us seek order and peace in our homes, the most shared posts from Graceful Order this year were the Home Routines. 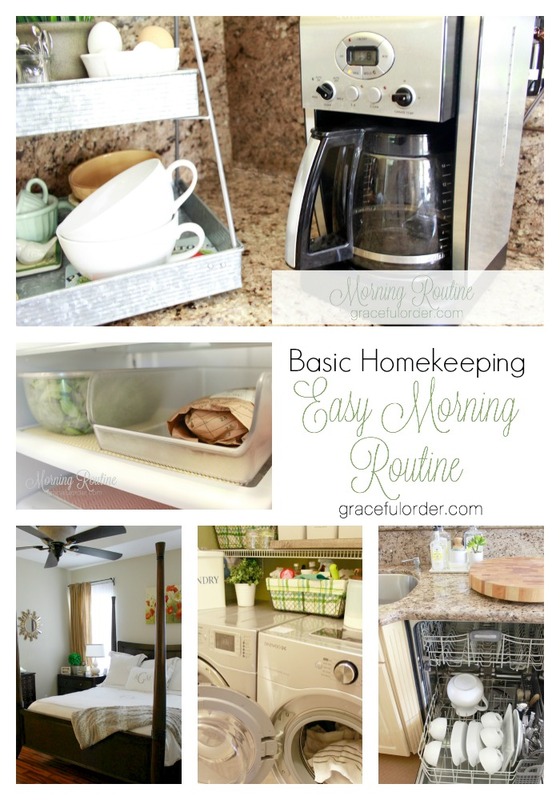 Here is the ” Morning Housekeeping Routine”. 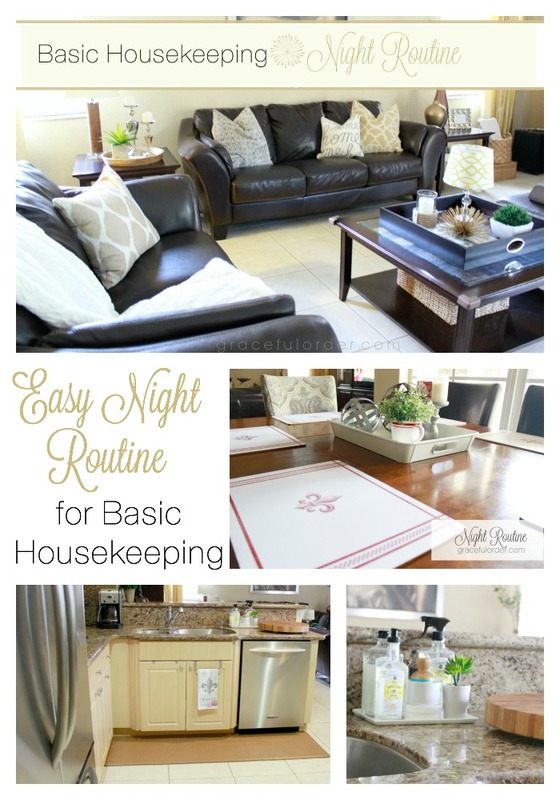 And the “Night Housekeeping Routine”. 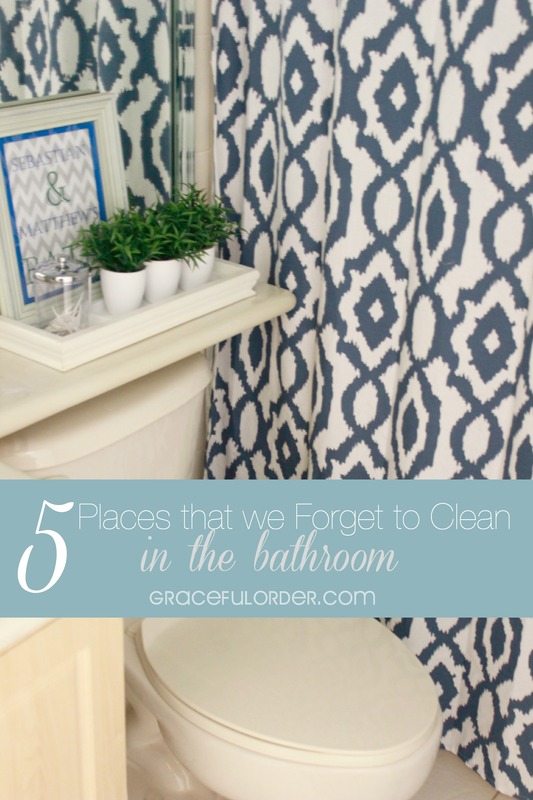 Lastly, the winner of the most pinned image on Graceful Order for 2014, is part of the “Organizing Small Bathroom Sinks” post! 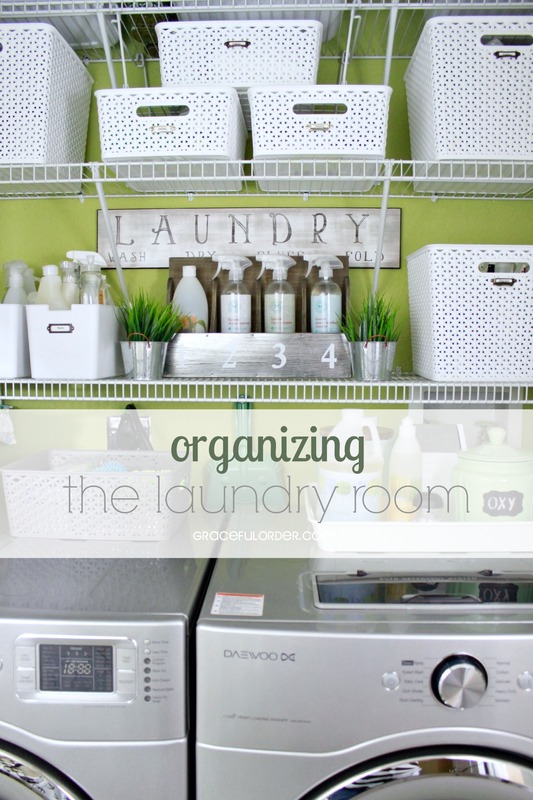 This organizing solution not only looks nice, but it is so practical! It is one of my favorite projects in my home. Simple, easy and functional! Most importantly, I want to thank YOU because I truly enjoy sharing all these ideas and I am so grateful for your feedback and encouragement throughout the year! You rock! Glad to be a part of the blog hop with you! I love the smoothie station idea. Looking forward to more of your tips in 2015! Glad to have found you through the hop! Although I have to admit I am seriously envious of your organizational skills. 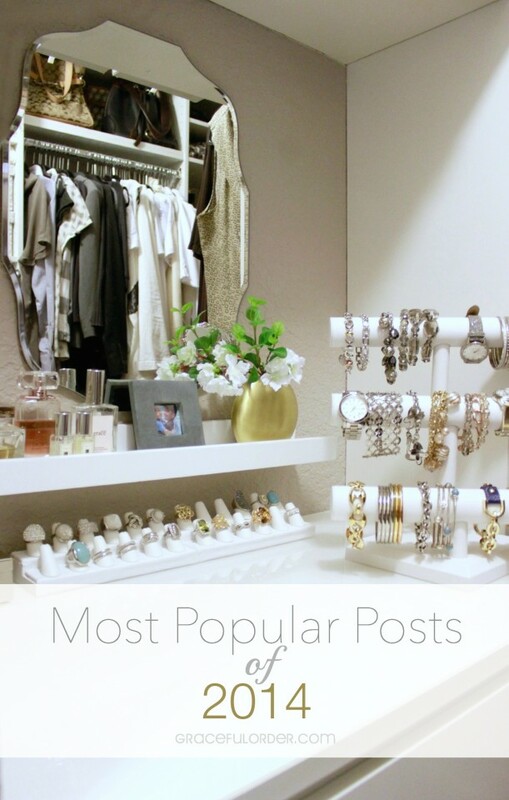 I’m definitely using some of these organization tips when I declutter in 2015! Looking forward to following along with you in 2015. Happy New Year! Hi! I love your website and post topics. You’re inspiring. Thank you so much Breshana! 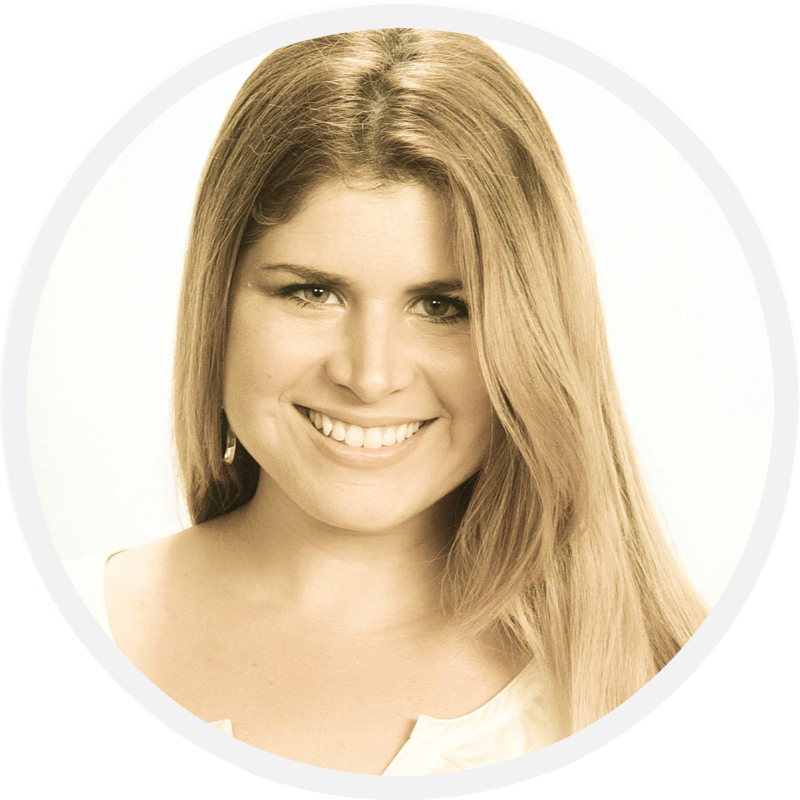 Just started following you…love the name and purpose of your blog. 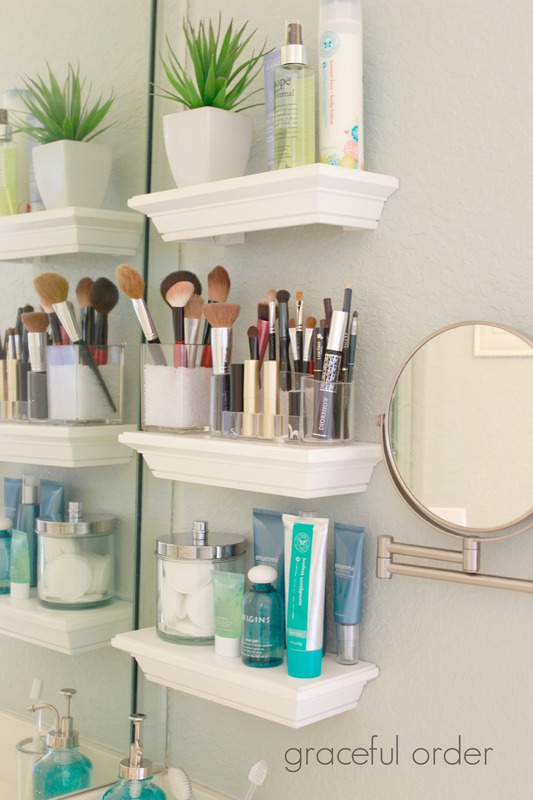 Where did you find the small white shelves that you used in the bathroom for organization? The shelf is from Target.